This is a pre-order item. Our expected ship date is August 31. We recommend pre-ordering early to lock in today's price and to avoid potential sellouts. Each $67 box contains 24 packs. Each pack contains 12 cards. 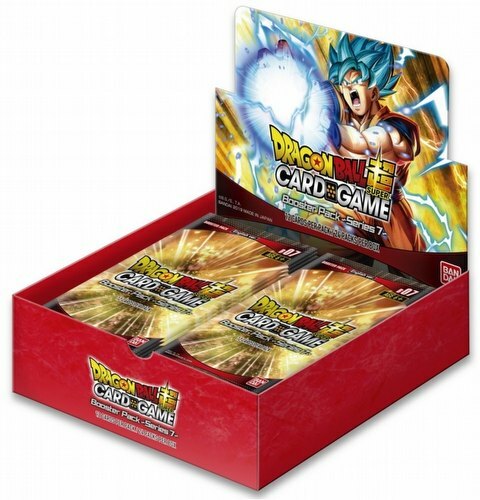 There are 235 cards in the Dragon Ball Super Series 7 set - 60 common (normal or foil versions), 30 uncommon (normal or foil version), 18 rare, 16 super rare, 2 secret rare, 10 special rare, and 4 campaign rare. Each booster box includes a promo card.